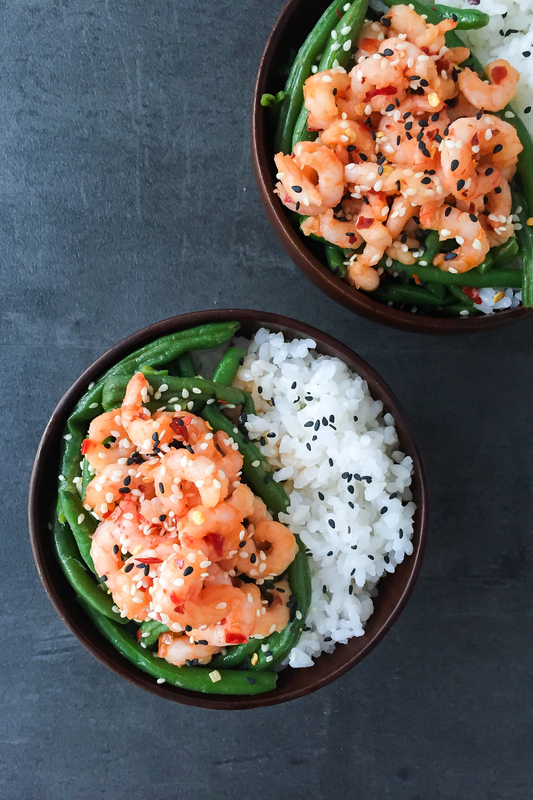 In a few simple steps, you can prepare a nutritious one bowl meal recipe for dinner or for your next day lunch-box. 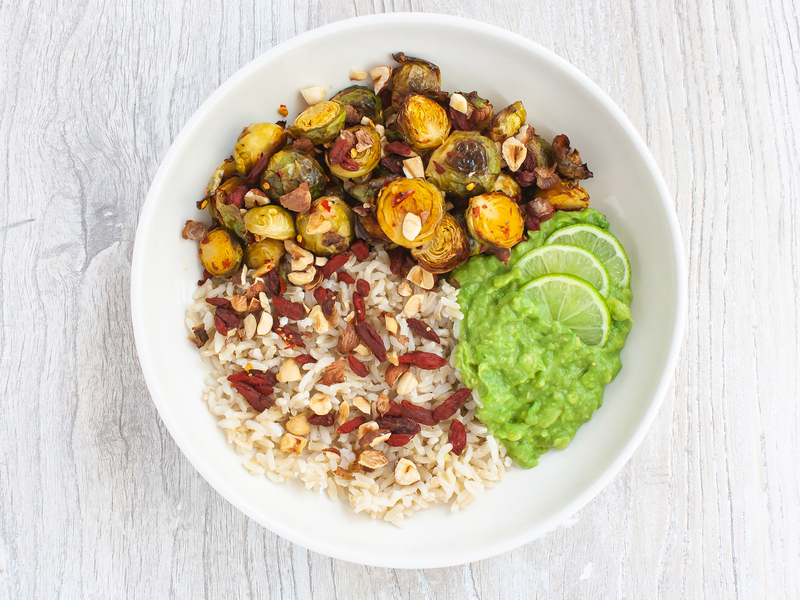 This roasted vegetables dish is prepared with oven-baked Brussel sprouts with tangy chili and lime sauce and then served with wholegrain rice, Goji berries, and roasted hazelnuts. All topped with a creamy avocado lime and agave dressing. 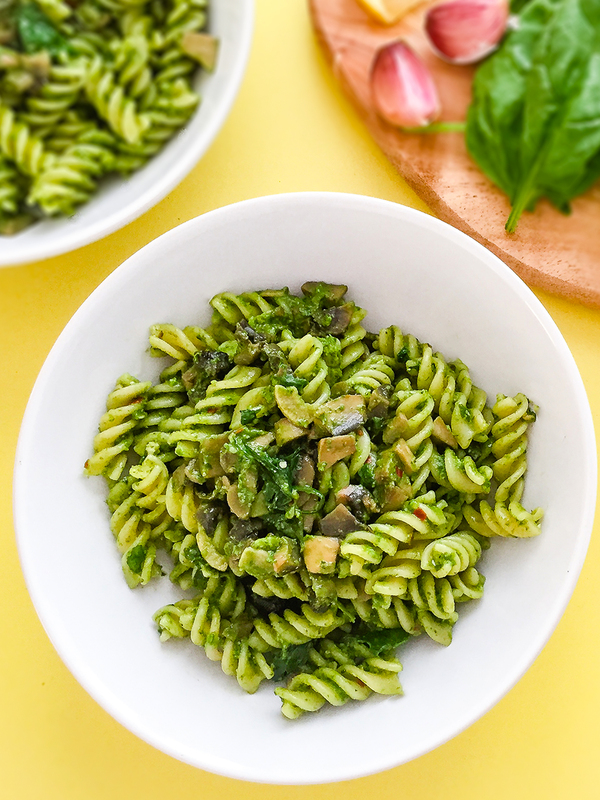 It’s a hearty and balanced meal perfect for those days when you feel low in energy and are looking for a tasty recipe with nutrient-rich ingredients to fuel your day. Brussel sprouts and Goji berries provide over 100% of the RDA of vitamin C per serving to help you to fight free radicals, boost your immune system and recover from cold. Vitamin C also helps to absorb the iron in plant-based food that would be difficult to absorb otherwise which is great for vegan and vegetarian diets. 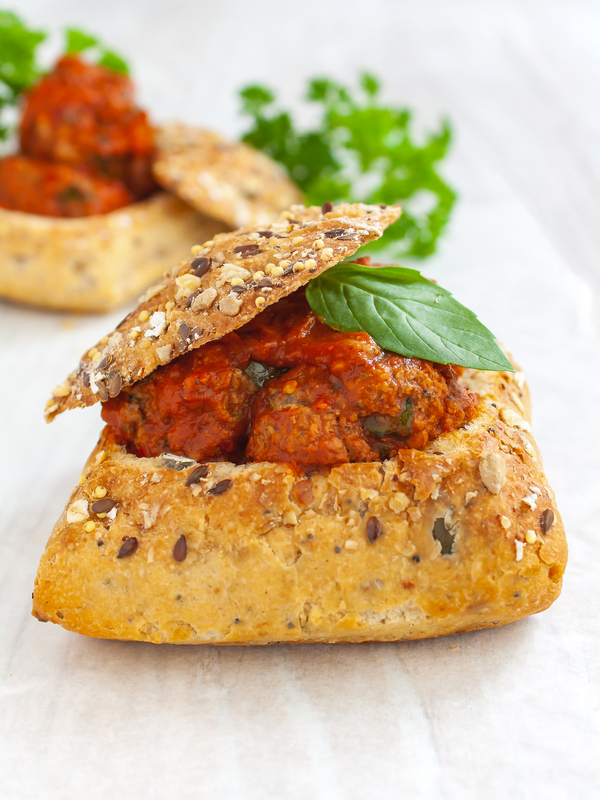 This main dish is also dairy-free, gluten-free, vegetarian and vegan-friendly, suitable to any diet. You can discover more diet-specific recipes in our easy to use smart search. Now let’s get started with this yummy roasted Brussel sprouts recipe! Preheat the oven to 200°C (400°F) or 180°C (356°F) for fan ovens. Rinse the Brussel sprouts and remove the tip of the stem and the outer leaves. 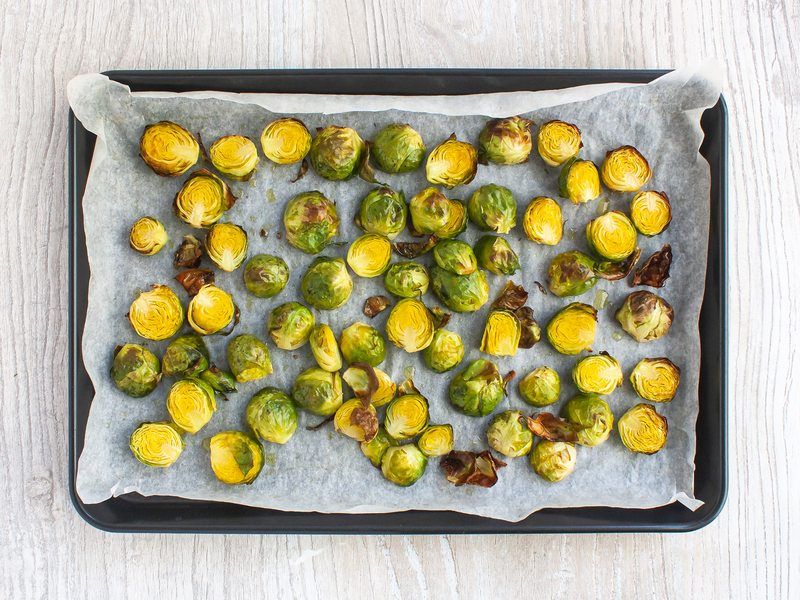 Cut in half the sprouts and toss with extra virgin olive oil in a baking tray lined with parchment paper. Roast for 15 minutes (1). 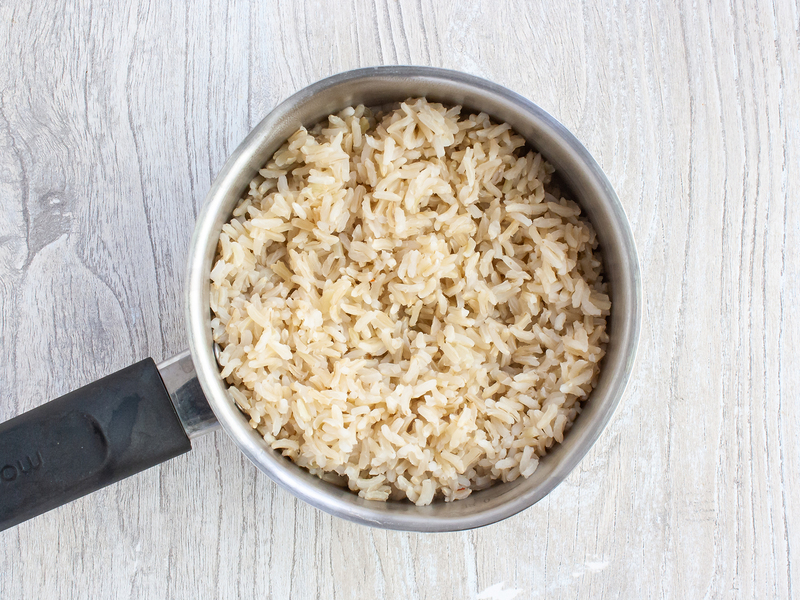 In the meantime, bring water to a boil, add coarse salt to taste and cook the brown rice for 25 minutes or until soft (2). To prepare the sauce for the Brussel sprouts, combine chili flakes, finely chopped garlic, 2 tbsp of lime juice, and 1 tbsp of vinegar (1). 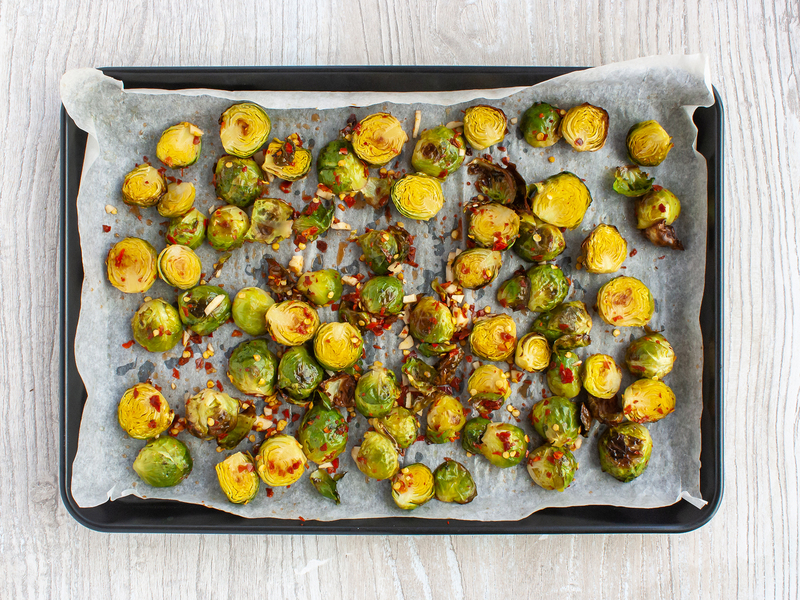 Toss the chilli lime seasoning over the roasted Brussel sprouts and roast for an additional 10 minutes (2). 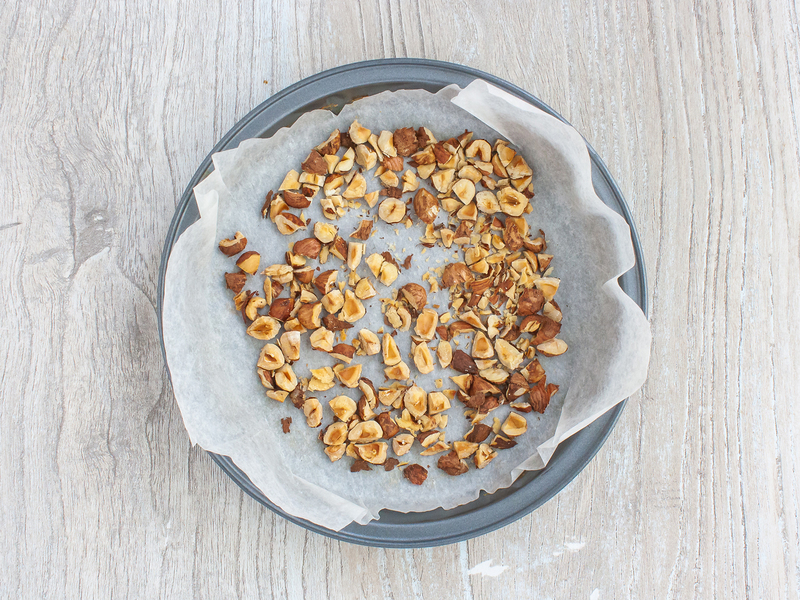 Chop the hazelnuts and roast in the oven for 8 minutes or until lightly golden (1). While the sprouts and hazelnuts cook in the oven, prepare the avocado dressing. 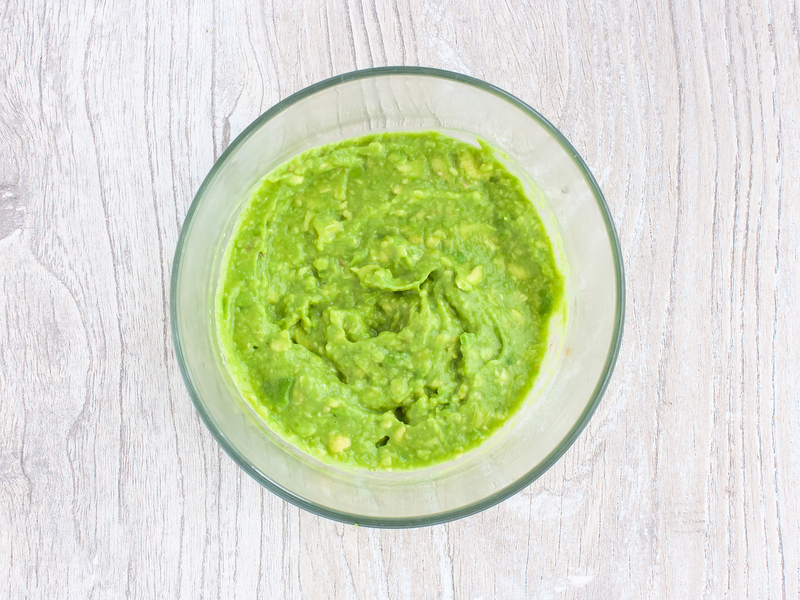 Combine avocado, agave nectar, water, garlic powder, 2 tbsp of lime juice, and 1 tbsp of vinegar until you have a thick sauce (2). You can also blend the ingredients in a food processor for a smoother vinaigrette. Remove the roasted hazelnuts and vegetables from the oven and drain the brown rice. 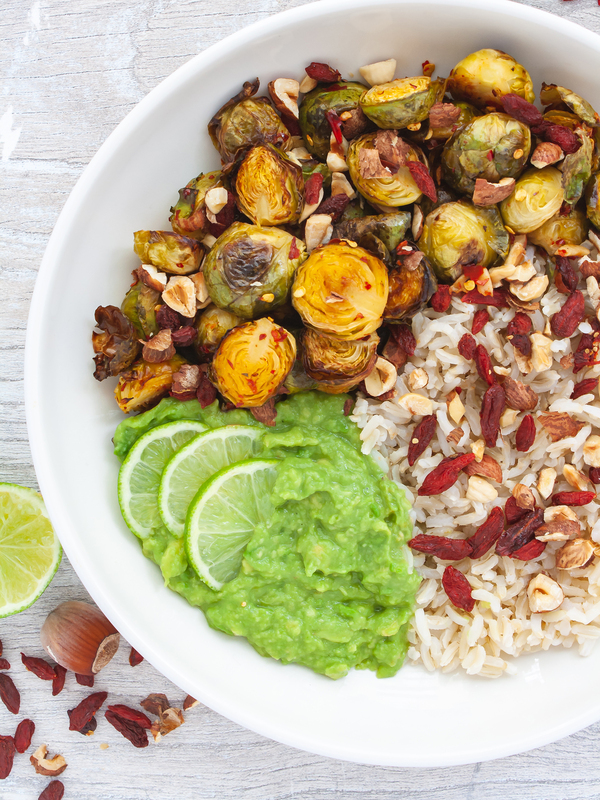 Prepare a bowl for each serving spooning in the cooked rice, chili lime roasted Brussel sprouts and avocado dressing. 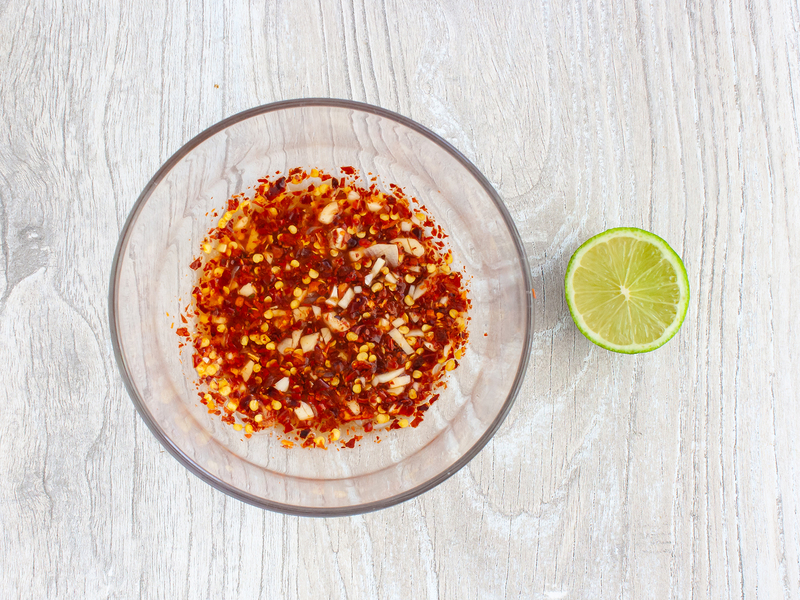 Sprinkle with hazelnuts and Goji berries and serve with lime wedges. For a protein boost add legumes like chickpeas or lentils or a low fat cheese like feta and mozzarella.